We might be wrong, but usually we are VERY close. Whatever the case, it is always fun to speculate. NYPD Blues. There is one critical question that needs to be answered. Is Tirelli in or out? If he is IN you can guarantee the Blues will continue to be the top team in the East. If he is OUT, it will mean a complete shift of power in the rankings. Honestly, we don’t think Tirelli himself holds the answer to this question. The answer lies with the players. We suspect that IF they commit, play with passion, and sustain it all season he will be IN. But the minute he has to scramble to find fill in players or if those on the team play without passion he will simply walk away…and the team will flounder. LAPD Blue. This team disbanded several years ago but have reformed for this coming season. Based on their roster they are projected to be the top team in the West Conference, if not the nation, so all eyes will be on their season opener in Riverside next weekend. They boast a line-up full of World Series champions, Players of the Year and All-Star players: Harryman, Snyder, Baez, Habig, Dorn, Gonzo, Braunie, Nikolic etc. They also have some young guns who have not been unleashed on the circuit so this team is positioned to be good for a long time. But, there is some controversy as there typically is with top teams. Was the advent of this team merely a smokescreen for a handful of Alliance guys to team up with a handful of DEA guys and form their own super team? Cops are suspicious by nature and tend to sniff things out. Some very good players missed the invitation (or received a consolation round invite) so there will be some motivation on their part when facing their former teammates. DEA Combo. No team was impacted by the formation of LAPD Blue more than DEA Combo. Fortunately, they were able to rebuild using former Alliance players. Gone are: Baez, Braun, Gonzo, Nikolic, Becker, Dawley etc. (that is half a team) and arriving are: Burger, DWay, Ledesma, JoJo Johnson and the heartbreak kid Shawn Michaels. Obviously, Nate’s glove in the 5man cannot be replaced, Gonzo is a gold glove outfielder and Braun is one of the top overall hitters in the sport. But Burger and DWay are both gold glove outfielders and when you factor Boyd into the mix they will perhaps have the best defensive outfield in the game. Michaels is a monkey wrench who can be plugged in to fill any position so his versatility will be valuable. If Curt Ledesma has the time to dedicate himself to softball once again he will serve as the teams most potent slugger. Ohio Lawmen. Every year it’s the same story. They have an all-star lineup but need a true ace pitcher to win the World Series. Former OH5O and Kentucky Blue leader Justin Camper has crossed enemy lines and joined the Lawmen as their “ace.” That could amount to a devastating blow for Kentucky but will he be that missing link to put the Lawmen back on top once again? It will be interesting to watch this scenario unfold as the season progresses. West Coast United. They were on the verge of folding and within an 8 hour period did a 180 and came back stronger than ever. This team was amazing at the World Series last year so imagine how much better they can be with the bulk of the Alliance infield adding to an already ridiculous good defensive team. Say hello to T. Hayes, Schmidt and Ulibarri! But it doesn’t end there. They added a professional hitter in Tyson Becker who is also outstanding at organizing team activities. He will keep the information flowing and ensure everyone is on the same page. Most improved team in the West Conference. Great Lakes Lawmen. It was very quiet in their camp this past off-season and we heard rumors of a possible split with some of the Illinois players joining forces with some top Indiana players. It was in the works but never came together. They know they need to address defensive concerns which limited their effectiveness at the World Series. Some felt they needed to overhaul the lineup because of this but we think that is overkill. They simply had a bad defensive series. Sure they could shore it up a bit, but this is a very talented team whose strengths can certainly overcome their limitations. CenCal Connection. Although it would appear they lost out on the big ticket free agent market, many feel they will be better off. Instead of recycling players from other teams they have developed their own young talent and they are hungry. Although it was a “pre-season” tournament they waxed everyone, including the most improved team in the West a few weeks ago. Some believe they have quietly passed DEA on the WC totem pole. We hope to see them match up against DEA next weekend to get a first hand look. New York Hounds. The Hounds are the EC version of CC Connection. They are young, talented and built to win now…and for years to come. The Blues are an “older” veteran team that needs to win now. The Hounds are in a positon to go on a solid 5-7 year run. We are unaware of any movement with this team so as long as All-Star game MVP Duke toes the rubber and the left side of their infield remains unchanged they will be hard to beat. LA Lawmen. They are the only team that has climbed in the rankings every year for the past 5-6 years. They are better once again, BUT so is everybody else. Although they are better, are they good enough to actually PASS the tier of teams that has consistently been ahead of them (BBorn, United, CC Connection, DEA) and now, LAPD Blue? Or are they simply keeping up? Kentucky Blue. Is under new management. Matt Marksbury has emerged as one of the top players in the entire nation. He is right there with guys like Corey Rogerson and Buddy Lundy when you mention the top outfielders in our sport. Ironically the loss of Camper as coach might HELP the team as there were some who did not see eye to eye with his coaching style. But, we are not sure Marksbury should be the guy to fill those shoes. Typically, when a player tries to coach AND play one aspect will suffer. Either his game will slip, or he won’t be as an effective manager. Ideally, a non-playing former Bluegrass manager will emerge. Also, don’t sleep on the new kid Jon Hedges…could be a game changer. Battle Born. Say hello to the bad guys. Peeler relishes in this role as they have morphed into the Oakland Raiders of the WC. But first, let’s talk talent. These guys were already LOADED and now they have added Buddy Lundy and Michael Dacken who are two young stud players who are both at the top of their game. It seems controversy follows Battle Born and these additions will add more fuel to their rivals fire. Peeler is unfazed, and like many champions, they subscribe to the adage that if you have haters that means you are doing something right. Bad teams don’t have haters. Although the West is more balanced than past years, we see Battle Born and LAPD Blue in a see-saw dog fight all year for top dog status. 3N2 Lawmen, Minnesota Lawmen, Missouri Lawmen. Crickets. Is this good or bad? We think for Minnesota and Missouri that is GOOD. We think for 3N2 it could be BAD. All these teams are among the best of the nation, we simply do not have any NEW information to provide commentary. Team Texas. We put them in the Mid-Majors and their coach said, “OK when we win it, we will play Majors next year right?” He was right, and yes they will. Shamrock Enforcers. With the demise of Disorderly Persons the Shams got an exclusive invitation to the New Jersey talent buffet. And they have been a glutton by gobbling up all kinds of talented players including former NY Metro legend Warren Rivell. They were very very good last year, but also a tad long in the tooth. They are poised to have their best year to date. Nitro2Go: Lots of pickups this off-season, perhaps enough to put them in the Mid-Majors picture. Welcoming Mike Wade, Nick Larkin, and Cody Collett. M.O.5.0. Michigan/Ohio merger team is projected to be a top Gold team or perhaps even climb to Mid-Majors. Locking down slugger Calvin Johnson was a big late pick up. Good leadership and a commitment to a full schedule this season will put them on the map. Maryland Outlaws: Trending upward thanks the addition of Scott Hall. Couldn’t they also use a solid second pitching option who can also hit in Breeden? Interesting dynamic going on there. Northern Lawmen: A legit heavyweight contender is emerging from Canada. Finally, Luke has the foundation to build that championship he has been yearning for. Planning a big tournament…more details to follow. San Antonio Law: Like the Phoenix they rose from the ashes and ascended to the top. They also are hosting what is shaping up to be one of the most prestigious tournaments in the nation. There is a LOT expected of them….will they be able to pull it off? Heavy is the head that wears the crown and they will feel pressure like they have never experienced in the softball arena. Mid-Atlantic: They had a great run in Vegas and are coming into the 2017 season stronger than ever. They silenced their critics by trimming their roster back. They are younger and more athletic than ever and have what many feel is the top manager in the circuit, Terry Dugan. 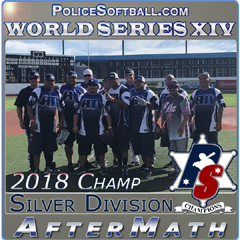 If police softball were the stock exchange, we would be buying as many shares as possible into this team. Degenerates: Definitely a team on the rise. Learned some valuable lessons in Vegas. Maryland Young Gunz: Are they really done? It is a shame to lose such a great leader and a team that has been a staple to the circuit for so long. Someone throw them a life line. 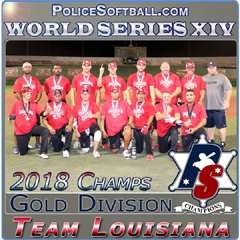 Thin Blue Line: They are going through what many teams such as LA Lawmen, Honolulu’s Finest and Stanislaus have gone through in past years. They have an identity crisis. Have they finally come to grips with their identity? 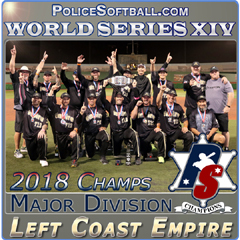 Just like LA Lawmen, they are a Majors team that will need to bring their “A” game to compete with the NYPD Blues, Hounds, Shamrocks etc. They simply need to accept this and perform. Playing at any level other than Majors won’t work for many of the talented players on their roster. Their best players will walk if they continue to play anywhere other than the top level. Stanislaus: Under new management and perhaps a bit of a rebuild. We might expect them to slightly regress before getting back on track. It’s OK to take one step back as long as you eventually take 2 steps forward. We see this being their plan this year. Arizona Ablaze: Projected to still be a true bubble team. We do feel the fact they play Majors all year puts them in a good spot in Mid-Majors come October. They come from one of the most talented regions in the country but need to do a better job sniffing out available players. The best way to do this is through civilian ball. Teams that have crossover players tend to find talented players in the civi world who don’t even know cop ball exists. See Matt Fox as an example. CTCA Arizona: There were rumors of a merger between them and Ablaze. A word of caution. Typically, when a merger of this nature happens, the better team (Team A) takes a few of the best players off Team B along with the sponsorships. These wholesale mergers tend not to work (see San Antonio/Team Texas) and a LOT of players end up without a home. CTCA is a new team and will hit speedbumps. But they can be very competitive in the Gold Division if they commit to it. SoCal Riot: Their best year to date, but have they now peaked? We project a similar year in 2017. Some big wins in the Gold Division but when it comes Mid-Major time in October they will need to bring their A game. Suffolk Lawmen: We thought these guys were supposed to be aged veterans. They proved us wrong and scared the heck out of people in Vegas by bringing a young, athletic and talented line-up. They will most likely end up in the Majors arena once again. North Florida Lawmen: The biggest Cinderella story of Vegas. They limped in with a rag tag line-up and were projected to go 0-2 in the playoffs. Instead they kept winning, and winning. Imagine how good they will be with a full roster this year? Louisville Metro: Generally quiet this off-season. Should be status quo which for them is a good thing. They relish in the underdog role. Probably the most traveled “small market” team in the nation. 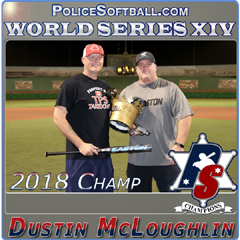 Honolulu’s Finest: No news from Hawaii, but you can guarantee their World Series finish did not sit well with leader Matt Fong. Matt took his team to the championship game in his first ever World Series appearance. Last year, they learned just how hard it is to get back into that game. They were sent packing early which was a shocker to just about everyone. You can expect a bounce back performance in 2017. Midwest Heat: The only off-season news we got from them is that they want to play in the Gold division next year. That is not a positive sign. They can’t let one disappointing tournament derail all the progress they made. We LIKED the confidence and fire they showed when dealing with the NYPD Blues “situation.” They need to recapture that swagger! 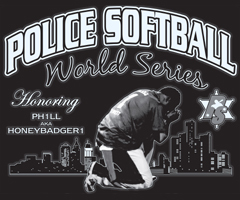 Chicago Metro: America’s Team is still the face of the police softball circuit. We love these guys as they capture the spirit of everything good with our sport. We will have to see how they perform early in 2017 but they will either be the top Gold team or somewhere in the middle of the Mid-Majors pack come October. Metro Detroit’s Finest: Team looks solid as usual. Their Detroit tournament is becoming a hot ticket on the circuit. Perhaps if we can discuss spreading the dates out and pushing them back a bit next year they can fill that vacancy as the PS Northern Regional Championship 2018??? Sin City Combo: They have been on again and off again for the past 5 years. As of now, they are BACK. Honestly these guys have flirted with greatness, only to piss it all away on far too many occasions. They were on the rebuild path last year but the wheels fell off mid-season. As a result they lost one of their best players to Battle Born (again). The good news is, Noel Roberts is back in a leadership role and he knows how to build contenders. Texas Guns: They are the Cinderella story of 2016. These guys came to Vegas with a chip on their collective shoulders and rightfully so. They were like the misfit toys in the movie Toy Story. In the Lone Star State they were the “developmental” squad to the big dogs, Team Texas and San Antonio Law. Their response was something Rocky Balboa himself would be proud of. Now we are hearing a couple of their players might be called up to the “varsity” squad once again. Will they allow the lure of hanging with the “cool kids” destroy their newfound chemistry? Most Wanted: They have improved enough to be in the Mid-Majors conversation. 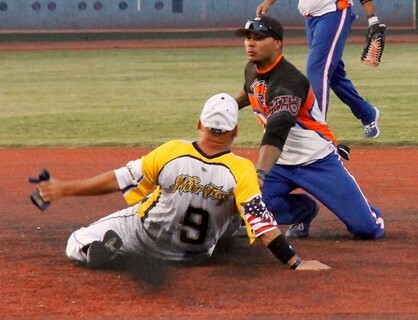 Coach Ralph Contreras knows his teams strengths and weaknesses and you can guarantee his plan is to always field a stronger team every time Most Wanted steps on the field. El Dorado Cartel: The loss of JoJo Johnson to DEA will sting, but it seems like an odd match. Talent wise is makes sense, but JoJo is a 6 hour drive from SoCal and that is a long trip when traveling solo (especially when driving home after a loss). But El Dorado is a resilient team that seems to endure all setbacks. NorCal is loaded with talent and they have strong leadership. They also host one of the most prestigious tournaments in the nation so they simply circle the wagons and get back to business. Utah Unified: New management. Very dedicated to reclaiming their status in the circuit. Word is they will be making an appearance in Palm Springs. Lethal Force: Possibly lost their SS to CC Connection. And Hall of Famer Joe Mestres. They dropped out of some tournaments last year but appear to be committed to a full schedule this year. NorCal Elite: Defending Silver Champs made a nice bounce back in Vegas to win a tougher than expected Silver Division. Can they carry the momentum into 2017? Regina Cyclones: Coming BACK. New management. Gold Combo: Picked up Shane Roach from Most Wanted. The team that broke away from Nitro2Go is having commitment problems, and now Nitro2Go seems more solidified than ever. Gold Combo will need to step up this year or the break from Nitro will prove to be a mistake. 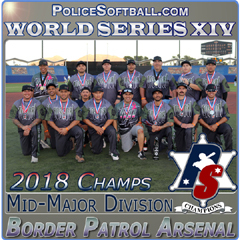 No information of the following teams: Lonestar/NEP, Louisiana, Steel City, Norsemen PSC, Toronto Takedown, Miami Dawgz, DVI Gladiators, NorCal Warriors, Iowa Lawmen, NW Shakedown, SF Seals, Buckeye Alliance, Detroit Law, Cali Force, BP Arsenal. 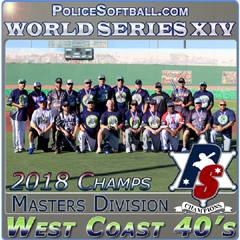 New teams: West Coast Mounties (Vancouver area), M.O.5.0. (see above), and Kansas City Combo.